During your stay here, it is the responsibility of the Principal Designated School Official (PDSO) to advise and counsel you regarding your compliance with the requirements of your F-1 visa as they apply to your legal stay and eligibility for employment in the United States. This person will be the main person at the College to ensure compliance with the SEVIS (Student and Exchange Visitor Information System) program. However, it is YOUR responsibility to be certain that you comply with all immigration regulations that apply to you. The following tips for applying for a student visa have been adapted from NAFSA: Association of International Educators. Ties to Your Home Country: Under U.S. law, all applicants for non-immigrant visas are viewed as intending immigrants unless they can convince the consular officer that they are not. You must therefore be able to show that you have reasons for returning to your home country that are stronger than those for remaining in the United States. “Ties” to your home country are the things that bind you to your hometown, homeland, or current place of residence: job, family, property that you own or will inherit, investments, good financial prospects, etc. You may be asked about your specific intentions or promise of future employment, family or other relationships, educational objectives, grades, long-range plans, and career prospects in your home country. Each person’s situation is different, and there is no magic explanation or single document, certificate or letter that can guarantee visa issuance. If you are denied under Section 214(b) of the Immigration and Nationality Act, this means you have failed to prove intent to return to your home country. English: Anticipate that the visa interview, should there be one, will be conducted in English and not in your native language. One suggestion is to practice English conversation with a native speaker before the interview. Do not bring parents or family members with you to the interview. The consular official will want to interview you, not your family. A negative impression is created if you are not prepared to speak on your own behalf. Academics: Be able to talk about the academic program of Randolph College. How does it fit into your career plans when you return home? 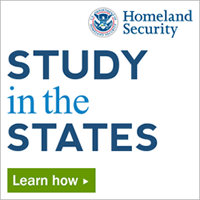 If you are not able to explain the reasons you want to study here, you may not succeed in convincing the U.S. consular official that you are indeed planning to study, rather than to immigrate. Be concise: Because of the volume of applications received, all consular officers are under considerable pressure to conduct a quick and efficient interview. They must make a decision, for the most part, on the impressions they form during the first minute or two of the interview. Consequently, what you say first and the initial impression you create are critical to your success. Keep your answers to the officer’s questions short and to the point. Be Honest: You should be honest with consular officials at all times. Do not lie, for example, about your sources of income. If consular officials believe you are lying, they will probably not issue the visa. Supplemental information: It should be clear at a glance to the consular officer what written documents you are presenting and what they signify. Lengthy written explanations cannot be quickly read or evaluated. Financial Documentation: If you are receiving funding from your family, your employer, or from the government, be prepared to present the appropriate letters or documents which verify this funding. If your financial support is coming from personal or family funds, bank statements alone are seldom considered credible enough evidence to demonstrate sufficient finances. Only when coupled with highly credible documentation which can substantiate the source (such as job contracts, letters from an employer, tax documents, pay stubs, or deposit slips) will a bank statement be accepted. Bank statements are most credible if they are a series of reliable computer-generated ordinary monthly bank account statements and are not more than 6 months old. Employment: Your main purpose for coming to the U.S. is to study, not for the chance of work before or after graduation. While many students may work part-time during their studies, such employment is incidental to their main purpose of completing their U.S. education. You must be able to clearly describe your plan to return home at the end of your program. Maintain a Positive Attitude: Do not engage the consular official in an argument. If you are denied a student visa, ask the officer for a written list of documents he or she would suggest you bring in order to overcome the refusal, and obtain in writing an explanation of the reason you were denied. Note: Always be aware of the expiration dates of your passport and visa. Any correspondence that you have with USCIS (U.S. Citizenship and Immigration Services) during your stay in the U.S. Note: In case your documentation is lost or stolen, leave one set of copies of your passport, etc. with your family or someone in your home country whom you know will store the copies safely. NEW students will be allowed to enter the USA 30 days before the start date of their orientation program (check date on I-20). SEVIS will notify our school that you have entered using our I-20 and which port of entry you came in at. Violations of the regulations must be reported by the College and could result in the loss of your F-1 status and possible deportation. Specific consequences may include denial of re-entry to the U.S., inability to move from undergraduate to graduate status, denial of requests to work or for change of status, and possible denial of all future visa applications. A staff member will go over the regulations governing your stay in the U.S. as an F visa holder. During the school year s/he will inform students of any new regulations and be available in the ISS office to discuss immigration issues with students. Late fall semester: workshop to explain eligibility to work off campus (Optional Practical Training=OPT and Curricular Practical Training=CPT) and how to apply for economic hardship. Early spring: a session on U.S. taxes and another one on OPT. You must have your I-20 signed by the PDSO in the ISS office for reentry if you leave the US and plan to return as an F-1 student. You must also have a valid passport and F-1 visa. If your visa is going to expire before you return, request a new I-20 for the new visa. Immigration Status — This is the immigration classification USCIS gives international visitors when they enter the US (such as F-1 status). The status is written on your Form I-94 (see below). It contains an eleven-digit admission record number, the person’s name, birth date, citizenship, the date of entry into the US, and the immigration status given. This important document is used to establish the duration of the legal status while in the United States. Individuals in F status should have “D/S” written on their I-94, next to “admit until date”. This refers to the legal ending date of their stay in the US. (See D/S – Duration of Status below). Admissions Number: This is the 11-digit number on your I-94. “D/S” — This stands for “Duration of Status” and is the time for which you have been admitted to the U.S. This is defined by law as the period during which you are pursuing a full course of study with a valid I-20 form plus any authorized periods of practical training; it also includes 60 days after you complete your program within which time period you must depart from the United States. SEVIS I-20 — This is the form which you used to apply for your visa and enter the United States or to transfer from another U.S. institution to this College. Keep it with your important papers. USCIS — The “U.S. Citizenship and Immigration Services” is a branch of the US Department Homeland Security and has authority over all non-citizens in the United States, including foreign students. Visa — The visa is the entry permit placed inside your passport by a U.S. consulate. It is used only to enter the United States and therefore does not need to be renewed while you remain in this country. If it expires and you go outside the United States, you will need to obtain another visa–this can be done only outside of this country. If this is the case, you will need a new I-20, transcripts, and proof of financial support.